Provide comfort for the family of Frances Galyan with a meaningful gesture of sympathy. 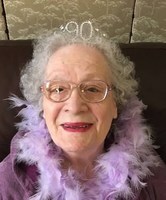 Frances Wensil Galyan left this earthly world on March 23, 2019 at Hospice & Palliative Care of Cabarrus County in Kannapolis, NC. Frances was born February 7, 1928, the third daughter of George David and Pearl Kindley Wensil, who also preceding her in death. Her sisters Claudine, Emma, and Betty preceded her in death. Prior to her retirement, she was employed at Fieldcrest Cannon. She was known for her dry sense of humor, obsession for maintaining a clean house, and making the best homemade biscuits in the world. She is preceded in death by her husband, J.B. and son, Joel. She is survived by her daughter and long- time caregiver, Rebecca Austin; two sons Lars Galyan and wife Delores, and Norris Galyan; and a number of grandchildren and great grandchildren. The family will receive friends on Tuesday, March 26, 2019 from 11:00am-12:00pm at Wilkinson Funeral Home. At Frances’ request, the funeral and burial will be a private family service. The family wishes to thank all who prayed, visited, and provided love and support during Frances’ illness and the entire staff of Tucker Hospice House for their outstanding care and assistance. In lieu of flowers, memorials may be made to Hospice & Palliative Care of Cabarrus County at 5003 Hospice Lane, Kannapolis, NC 28081. On-line condolences may be left at www.wilkinsonfuneralhome.com. Wilkinson Funeral Home is serving the family. 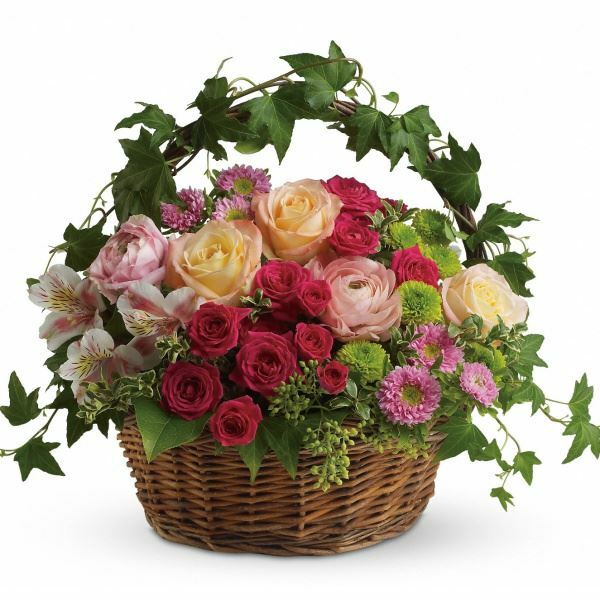 To send flowers in memory of Frances Wensil Galyan, please visit our Heartfelt Sympathies Store. Rita, Donna, Linda, Matt and Marvin sent flowers to the family of Frances Wensil Galyan. To the family of Frances Galvan, our love and sympathy during this time of loss and sorrow. You are in our prayers. Rita, Donna, Linda, Matt and Marvin purchased flowers for the family of Frances Galyan. May the family of Frances Wensil Galyan please accept my sincere condolences hoping you find comfort in God's words at Acts 24:15 and Psalm 37:29.